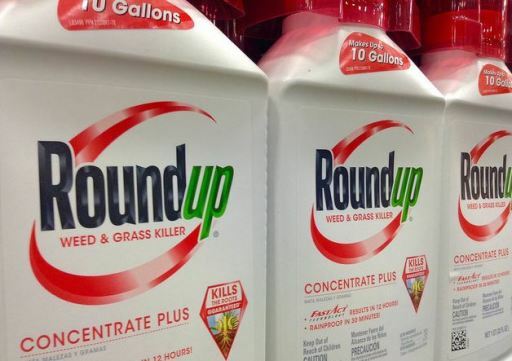 SAN FRANCISCO (CN) – A California judge signaled Wednesday she would overturn a $250 million punitive damages award against Monsanto, handed down by a jury that found the agrochemical company knew its popular Roundup weed killer causes cancer but deliberately failed to tell a school groundskeeper dying of lymphoma. Superior Court Judge Suzanne Ramos Bolanos appeared skeptical in an afternoon hearing that there was sufficient evidence Monsanto acted with oppression or malice by not warning groundskeeper Dewayne Johnson of the risks of spraying Roundup, a requirement for awarding punitive damages. Becoming increasingly frustrated with arguments by Johnson’s trial team, including one by Baum Hedlund Aristei Goldman attorney Brent Wisner rejecting blame for purportedly manipulating the jury into awarding punitive damages, Bolanos indicated she planned to affirm a tentative ruling issued before the hearing vacating the punitive damages award based on insufficient evidence. In the written ruling, Bolanos said she would grant Bayer-owned Monsanto a new trial on punitive damages if she were to ultimately deny the company’s motion to vacate the punitive damages award. Although U.S. and European regulators have concluded Roundup’s active ingredient glyphosate is safe, the World Health Organization’s International Agency for Research on Cancer classified it in 2015 as a probable human carcinogen, triggering thousands of lawsuits against Monsanto in the United States, including Johnson’s. His lawyers argued during a four-week trial this past summer Monsanto knew for decades Roundup is carcinogenic, but didn’t include a cancer warning label with the product or instruct users to wear protective clothing when spraying it for fear of disrupting its multibillion dollar global business. Monsanto countered Roundup was safe. It argued the herbicide could not have caused Johnson’s illness because cancer takes about three years to develop, and Johnson used Roundup for just one summer for his job as a school groundskeeper in Benicia before developing symptoms the following fall. Nonetheless, a unanimous 12-person jury found for Johnson in August, awarding him $289 million in damages, including $33 million for reduced life expectancy. Bolanos is considering reducing the $33 million award to about $9 million. Shortly after, Monsanto moved to overturn the verdict, order a new trial or reduce damages. The company accused Wisner, who headed Johnson’s trial team, of prejudicing the jury into finding for Johnson despite a purported lack of scientific evidence Roundup caused his cancer. At trial, Wisner compared Monsanto with tobacco companies, implored the jury to “change the world” by awarding punitive damages to deter future unethical conduct, and asked them to visualize unscrupulous Monsanto executives toasting a verdict in their favor with glasses of champagne. “The message sent to the jury was, ‘you can look beyond this courtroom,'” George Lombardi, Monsanto’s attorney with Winston & Strawn, told Bolanos Wednesday. Lombardi was referring to the requirement juries only consider evidence tied to a plaintiff when awarding punitive damages. In closing statements, Bolanos told Wisner to stop referencing imagined champagne celebrations in Monsanto’s boardroom, warning the remark was grounds for a mistrial. But Wisner referenced champagne a second time, prompting a second objection by Monsanto and a curative instruction by Bolanos that the jury disregard the remarks. Wisner, attending Wednesday’s hearing via telephone, explained he referenced champagne a second time because didn’t know to what Monsanto had objected. “Are you saying at the time you made the reference to champagne in the boardroom and defense counsel objected…that you didn’t know why they were objecting? Is that your argument?” she asked. Michael Miller, an attorney with The Miller Firm also representing Johnson, stepped in. “The court was frustrated with plaintiffs’ counsel and I get it,” he said. “Mr. Wisner probably should learn a lesson or two about hearing what the court says, but it was not prejudicial” and doesn’t justify “take[ing] away the well-earned verdict of a dying man,” he said. Turning to evidence of oppression or malice by Monsanto, Miller argued Monsanto neglected to test Roundup for carcinogenicity despite evidence the product is more carcinogenic than pure glyphosate; that Monsanto’s top executives knew it was carcinogenic and that they chose to cover it up. But Bolanos appeared to reject Miller’s assertions. She noted both independent scientists and scientists employed by Monsanto conducted tests finding no link between glyphosate exposure and non-Hodgkin lymphoma, and that there was insufficient evidence that certain Monsanto employees identified by plaintiff’s counsel covered up Roundup’s alleged carcinogenicity. Miller replied: “If we had tried this case to your honor, we might’ve lost,” a subtle reference to the swaths of evidence Bolanos excluded from trial over Johnson’s objections due to purported bias by Bolanos. Michael Baum, also with Baum Hedlund Aristei Goldman, said after the hearing his team is “expecting that the correct standard and the correct weight be given” to the jury’s verdict. Bolanos took the motions, which include a request that the entire verdict be overturned, under submission. She did not indicate when she would rule.